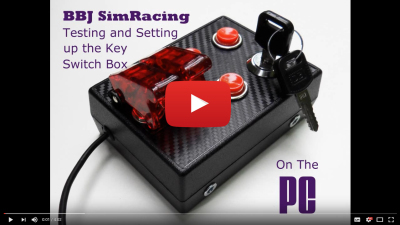 BBJ SimRacing Button Box with Key. 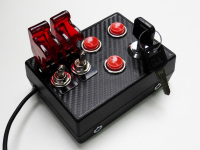 Excellent item if you wish to add the detail of a starter/ignition panel to your simulation. 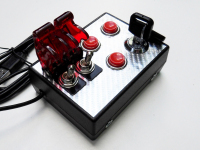 Box is based around a Keyboard Encoder so is compatible with PC and Consoles. 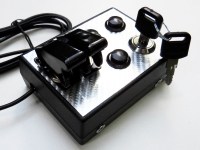 Toggles and Push-to-Make switches are rated for real automotive use so have that genuine 'feel' to them. 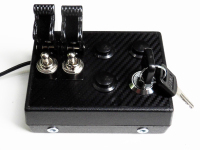 Box features two on/off Toggle Switches fitted with 'Missile' type safety covers, three 16mm Push-to-Make Switches and one momentary Key operated switch. 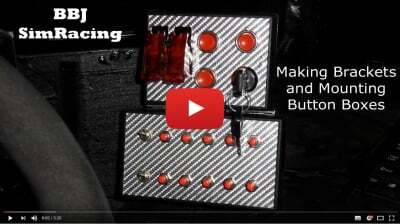 Key switch is spring loaded giving excellent 'starter' feel. 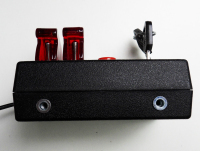 Features two mounting points on the base of the unit that will accept M4 bolts. 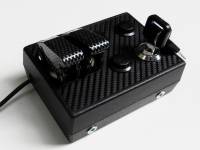 Currently available in four designs (see gallery) and the whole unit is built into a tough ABS box. Supplied with 1.8m USB cable. 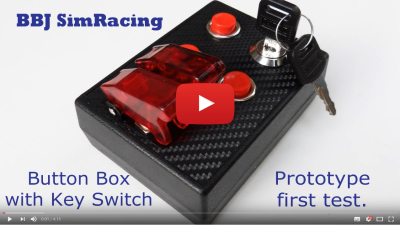 Check out the test and Button Box Mounting videos below for more information. Please see the videos below for additional information.